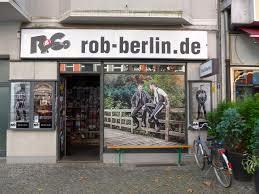 Gay shop R&Co Berlin sells leather & rubber gear, handcuffs and other fetish SM toys. Also has rooms for rent, with comfortable beds, personal computer, DVD player and kitchen. Located in the heart of gay Berlin, steps away from the main gay bars, restaurants and the famous Ku’damm. Closed Sundays.